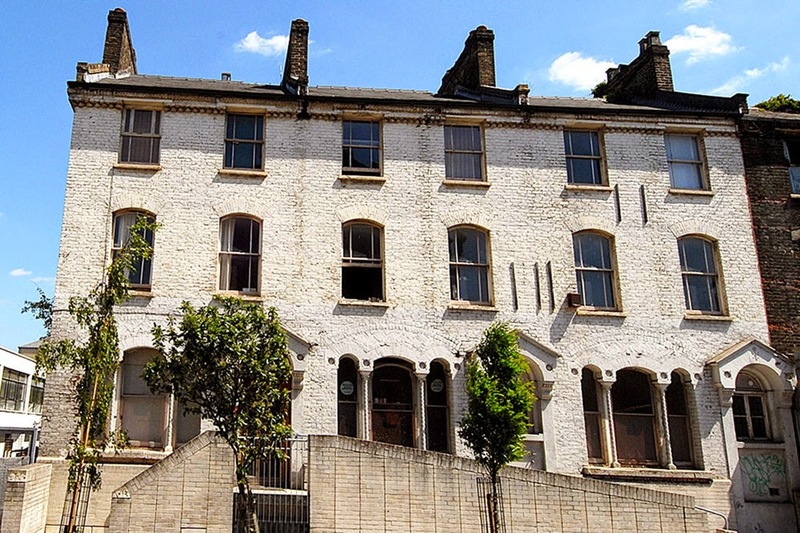 Why is Hackney still not protecting Dalston Junction's heritage buildings at risk? Good and bad news this week. Hackney Council have finally recognised the heritage value of buildings in the Kingsland High Street area and its side streets. It is proposing a new Dalston Conservation Area extending from Tottenham Road up to Somerford Grove/Princess May school further north (see map here). 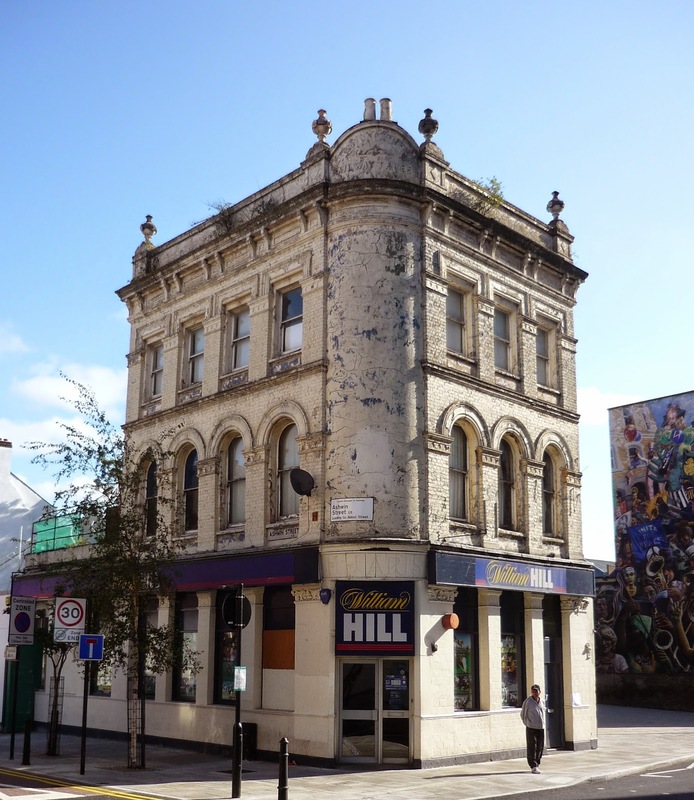 But why has Hackney chosen to ignore the equally worthy, and much loved, heritage buildings on the east side of Dalston Junction which will have no conservation area protection at all and so remain at risk? The heritage assessment, undertaken by the erudite Dr Ann Robey, recognises the wonderfully diverse range of periods, styles, detailing and occupancy of the Kingsland area buildings. 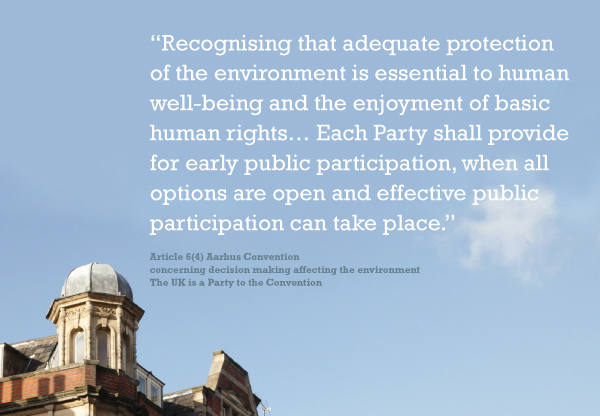 Protection by Conservation Area status is long overdue and is to be welcomed. You can see and comment on the proposals here and email your views to consultation@hackney.gov.uk with ‘Dalston’ in the subject line. But when you make your views known to Hackney bear in mind that many of Dalston's much loved heritage buildings have been left out of the proposals. See more below. Make sure you tell Hackney if you want the omitted buildings to have conservation area protection too. Readers will recall that in December 2012 we published "Leaked report calls for Dalston's environemntal protection". The leaked report, commissioned by the GLA's Design for London, made a strong recommendation, which Hackney considered in 2013 but has not implemented. 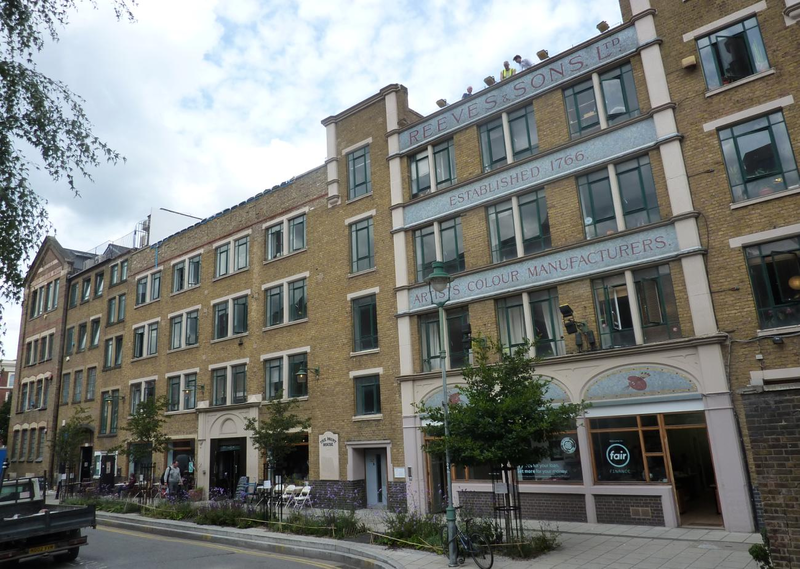 It was that the Dalston Lane (West) Conservation Area be extended to afford protection to the equally worthy surviving heritage buildings east of Dalston Junction. 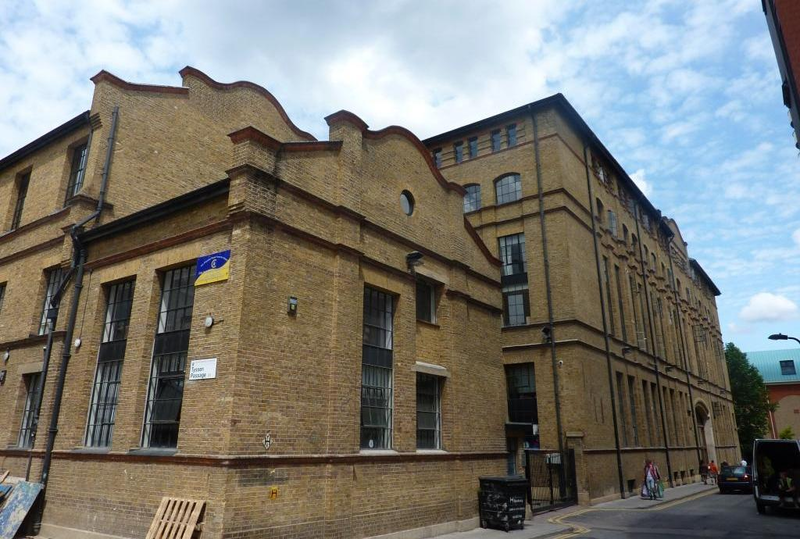 Excluded from Conservation Area protection: Reeves Colourworks and Printhouse in Ashwin Street - presently home to Bootstrap Company, Cafe Oto, Arcola Theatre and numerous independent businesses. Owners can, without planning permission, demolish any non-residential buildings unless they are listed or in a Conservation Area. 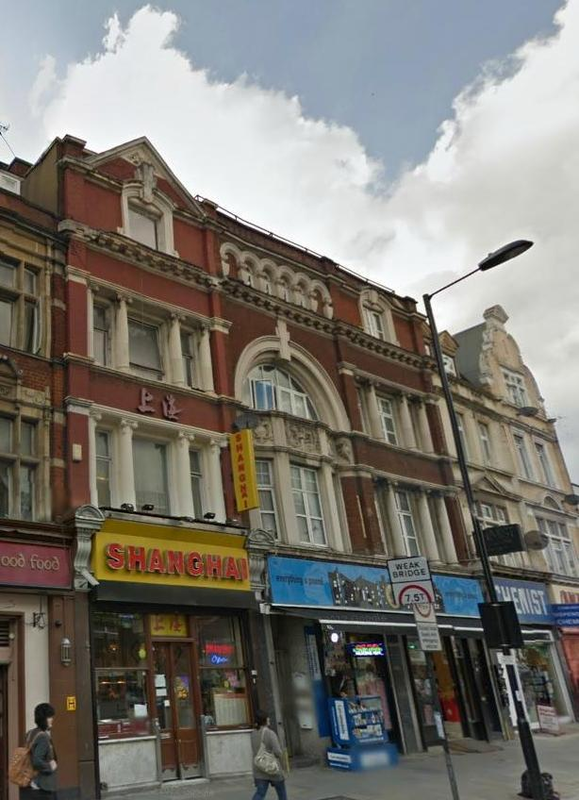 You may find it unthinkable that Hackney would want to see these buildings demolished, but Dalston is under considerable re-development pressure and Hackney has yet to explain why they haven't been given conservation area protection. Is there another plan for them? Excluded from Conservation Area protection: the iconic Dalston Peace Mural is painted on the end wall of 15 Dalston Lane at the entrance to the Eastern Curve Garden. 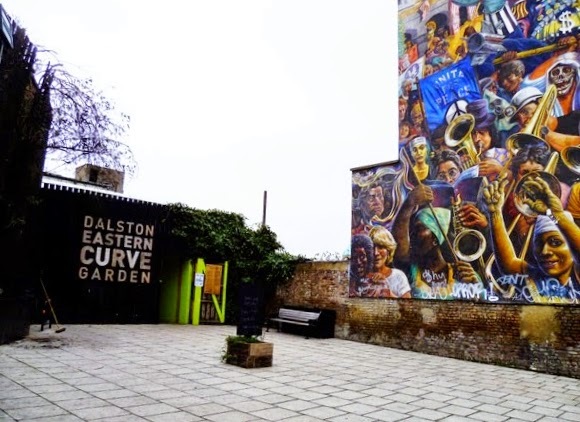 The GLA's 2012 heritage report recommended that the mural and the Garden both be included in an extended Dalston Lane (West) Conservation Area. The Garden is planned as a "shopping circuit" if the Kingsland Shopping Centre is re-developed. 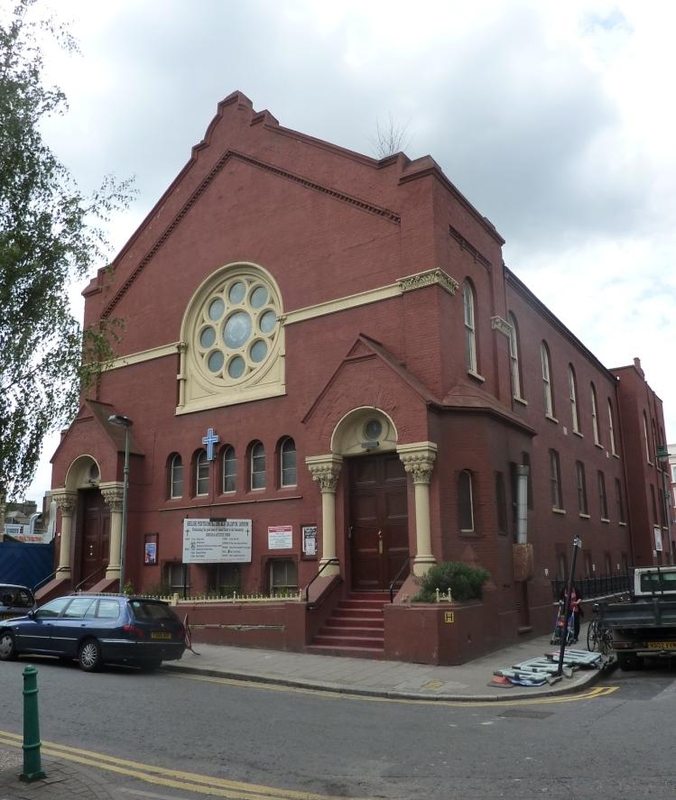 Excluded from Conservation Area protection: the well used Pentecostal 'Shiloh Church' in Ashwin Street was originally built in 1871 as a Baptists' Chapel. Excluded from Conservation Area protection: 14-16 Ashwin Street - home to V22 Gallery and artists' studios. Hackney demolished the remaining houses in the terrace without planning permission. The possibility of demolishing and redeveloping all of Ashwin Street had been suggested and has not been ruled out. Excluded from Conservation Area protection: 1902 Springfield House in Tyssen Street, off Dalston Lane. There is a major development site, planned as a high-rise block of flats, on the adjoining Thames House site which could damage the setting and sunlight to this heritage building. Conservation Area status could help protect it. Email your views about the new Dalston Conservation Area to Hackney at consultation@hackney.gov.uk with ‘Dalston’ in the subject line. Make sure you tell Hackney if you want the omitted buildings to have conservation area protection.So much of Dalston Junction's heritage and character is being replaced by bland corporatism in the name of "regeneration".